Design of a 7 level terraced parking structure creating 4.2 new acres of Top Deck tour experiences also designed by this office. 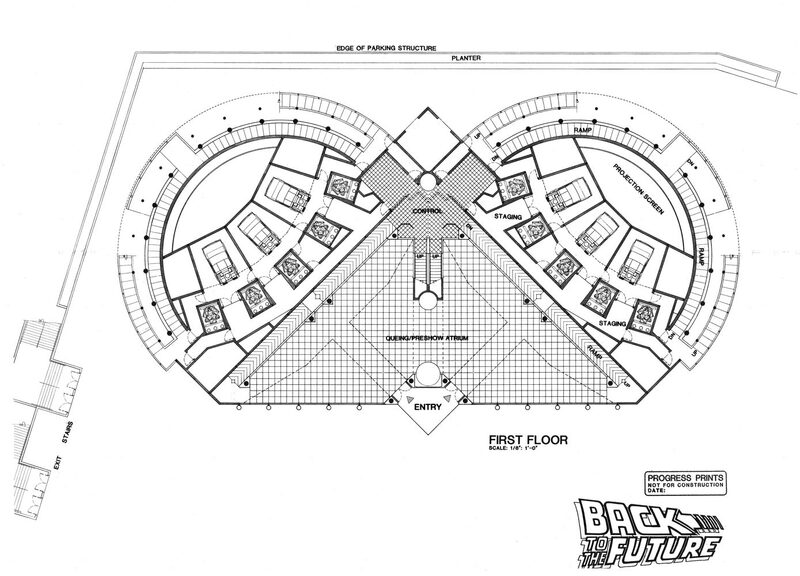 The back to the future architectural concepts were created by this office and we assisted in developing the ride show concepts. 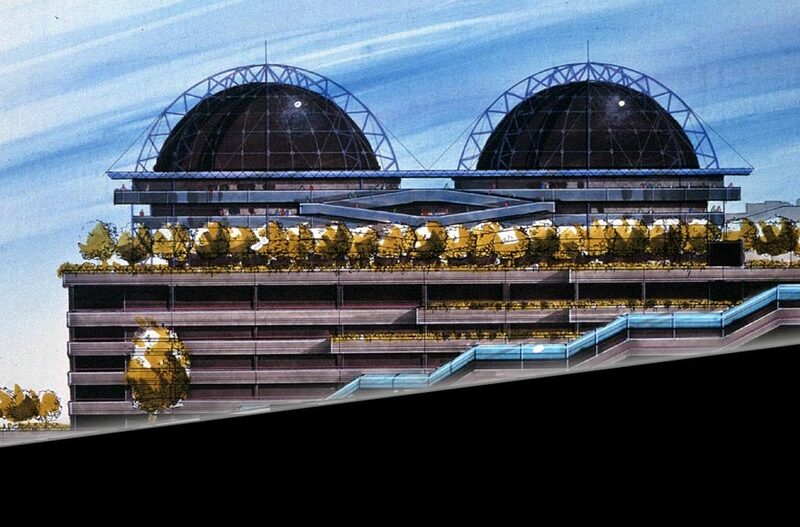 Ride concept conceived around two IMAX domes. The dome exteriors are made of a reflective Kevlar with a wet skin look that reflects themed light shows. The ride utilized motion-based DeLorean cars developed by Smith Bruni Industrial Design, a partner on the project.